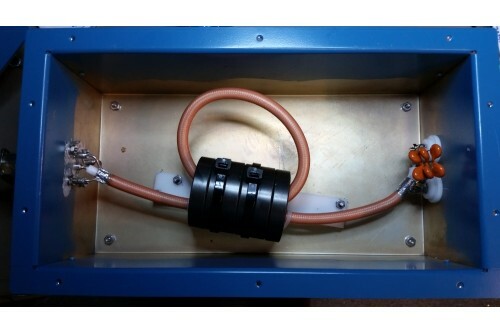 AS-50-1-DIN-20K - 50 Ohms - 7/16 DIN connectors, 20 kW CW / 40 kW SSB, 1.8 - 30 MHz. Custom-built, call for delivery time. These devices are based on the W1JR Baluns above. They are used to stop RFI on the outside of a coaxial cable shield from entering to the radio shack and/or shield becoming part of the radiating antenna system. 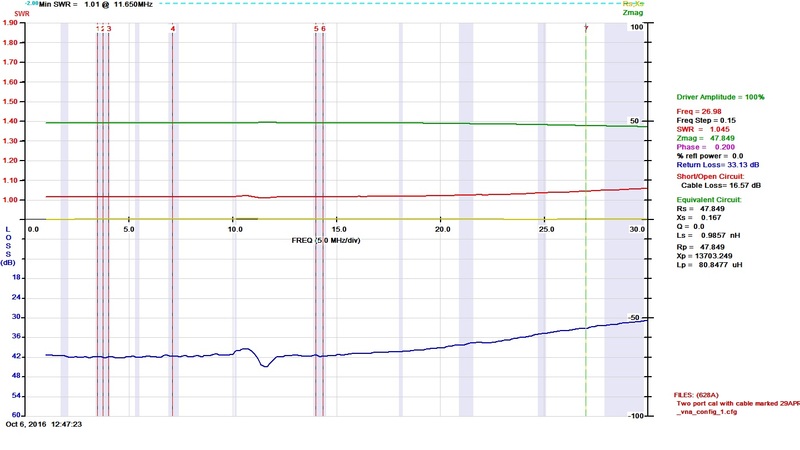 SWR, Return Loss (S11) and Zmag plot of the AS-50-1-20K balun. 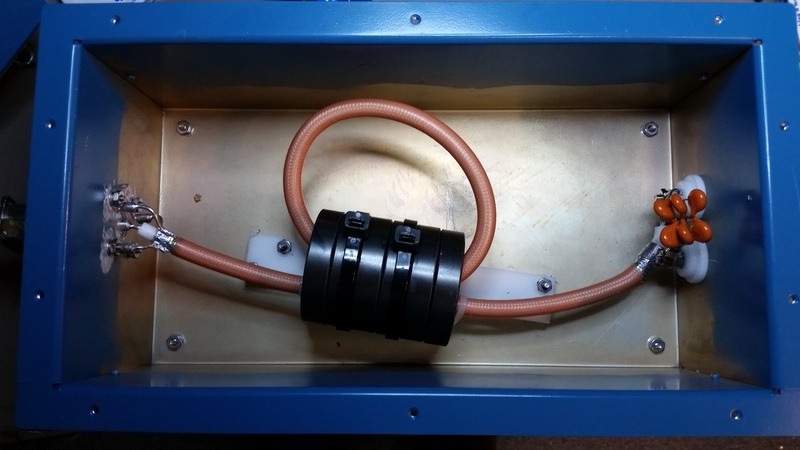 50 Ω unbalanced to 50 Ω balanced 1 to 1 transformer balun. Rated for 20 kW CW and 40 kW SSB. VSWR 1:1, 50 Ω devices. Teflon SO-239 input connector, also available with 7/16 DIN. 12" x 6" x 4" NEMA 4X Sealed box.